This gorgeous A. Jaffe semi mount is fashioned in 18K white gold and features 52 beautiful round diamonds, .38 tdw. With a diamond accented split band and stunning radiant halo, this elegant and classic A. Jaffe setting only needs your hand selected diamond to be your one-of-a-kind dream ring. (Center stone sold separately). 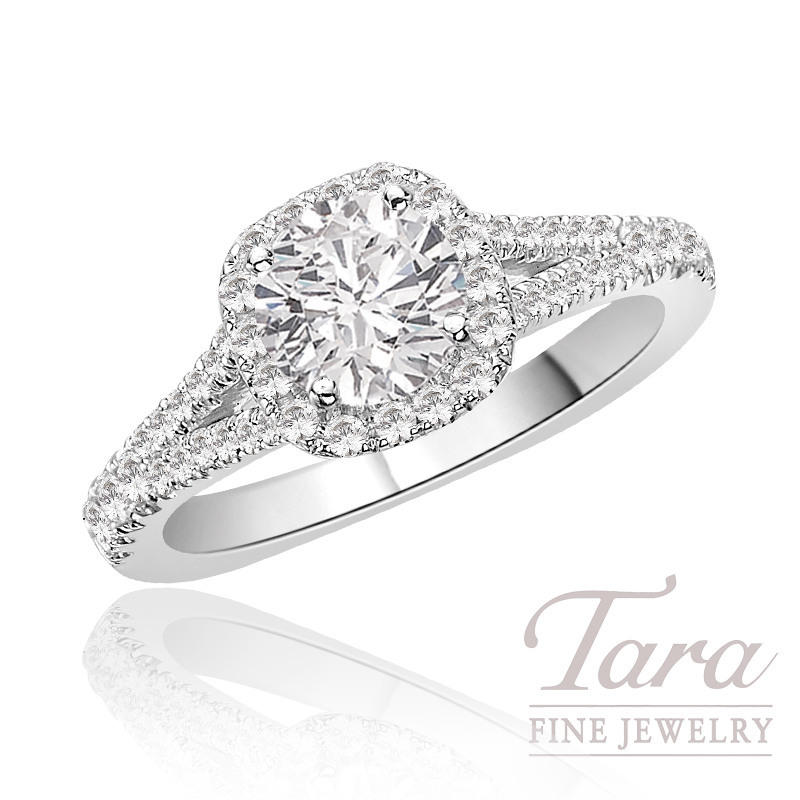 Home to the most sensational bridal jewelry by top designers and the exquisite A. Jaffe Collection, Tara Fine Jewelry Company specializes in diamond engagement rings and fine Swiss watches by Rolex, Omega, Tag Heuer and Breitling. The beautiful showroom is located in Buford and is Atlanta's number one choice for top quality jewelry and first-rate customer service.